At the time of this interview, Daniel was a graduate student at Stanford. 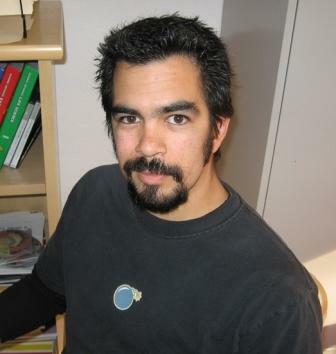 Currently is his an Assistant Professor of Environmental Studies and Planning at Sonoma State College in California. Daniel Soto was born and raised in Texas. After finishing high school at LBJ Science Academy in Austin, TX, he went to Stanford University in California. He earned his B.S. in Electrical Engineering in 1994. He then spent several years working as an engineer at a couple of companies before going back to school at San Francisco State University to earn a master’s in physics in 2004. He returned to Stanford as a Ph.D. student in the fall of 2004 in the Applied Physics Department where he is currently working with Prof. Tom Kenny studying the adhesive nanostructures on gecko feet. Over the years Dan has received several awards including the Humanities and Sciences Fellowship at Stanford University, the Distinguished Achievement Award for Academic Excellence at San Francisco State University as well as a National Merit Finalist. How long have you been a graduate student at Stanford? I am currently in my second year of graduate study in the applied physics program. What did you do before you came to be a graduate student at Stanford? I got a degree in electrical engineering here at Stanford and then worked at two companies that were developing micro machines that moved light. One became a huge laser TV and the other is used for fiber optics. What project are you working on as you work on your Ph.D. degree? 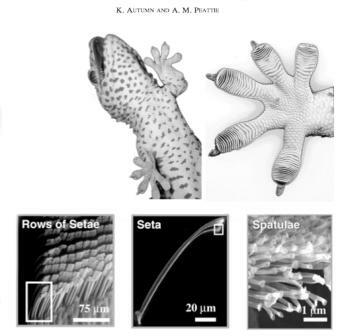 I am studying the adhesive nanostructures on gecko feet. The gecko is amazing, it can cling to most surfaces and it does so by using natural nanotechnology. I guess the geckos are pretty smart nanotechnologists. They don’t use claws or suction cups. They have tiny hairs on their feet that make contact with a surface and then cling to it by a force called van der waals force. This force is present between all materials and allows geckos to climb up most anything, even smooth glass walls. 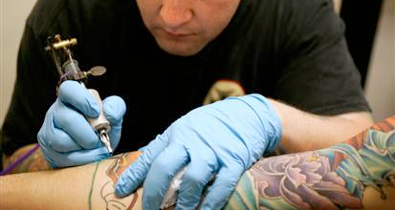 I want to learn more about how they do this by doing measurements on their skin. 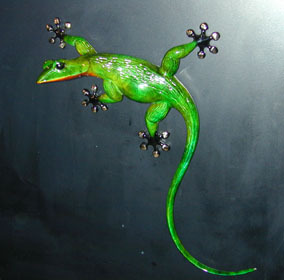 I also want to use the gecko as inspiration to build a nanotech adhesive. I enjoy building things and making things work. Being able to be creative in my work is fun also. My research is also very challenging and I get to think about physics and science all the time. The main goal though, is to discover things that nobody has figured out yet and that is very exciting. Anything you don’t like about it? Like anything worth doing, it is often difficult and sometimes frustrating. But getting something to work makes it all worth it to me. Just a few days ago I finished some micromachines that had taken months to build and the feeling of accomplishment makes up for the hard times. Growing up, were science and math classes easy for you? I don’t know about easy, but I did well in them and enjoyed them. I knew that I had a talent for math and science, but more importantly, I think, I really liked math and science. I would do math and science for fun. When and how did you first get interested in science and in nanotechnology? When I was young, say first grade, I wanted to know everything about fire. Like, what is fire? 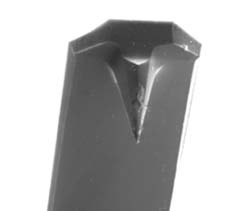 How come you can see it but it isn’t solid? It took a long time to get some satisfying answers. I had a microscope and a chemistry set that I played with as well. So, even as a kid, science was as much fun as dodgeball to me. So by junior high I knew for sure that I would pursue a science career. I got turned on to nanotechnology while I was an undergrad, I met some researchers working in nanotech and thought it was super cool. I’ve been working exclusively on tiny things since then. Does your family support your choice to go into science? They do but they think I’m a mutant though since neither of my parents does anything related to science. My brother is into science too. What do you plan to do after you finish your degree? I’m interested in teaching and researching at the university level. I like teaching a lot. I think science is very cool and like telling people about it. I like a lot of stuff: bicycles, rock climbing, camping. My favorites are skateboarding and playing music. I like skating concrete skate parks and the big half-pipes like you see in the X-Games. As far as music, I play bass guitar and like to write, perform and record music. I’m also learning to play the drums and that is super fun. What is your favorite music, book, movie? I like a lot of music; I’d say my favorites are downtempo, hiphop, and pop punk ‘alternative rock’ kind of stuff. My favorite book is Love in the Time of Cholera by Gabriel Garcia Marquez. Any words of encouragement or advice for students (middle school or high school) considering a career in science and/or nanotechnology? Do what fascinates you and don’t be discouraged by the difficulty of the material. If you like science, stick with it; the further you go, the more fun it gets. (Video) Click to view video of Daniel skateboarding. (File size: 1mb) Quicktime Required. (Music) Click to listen to some of Daniel’s music. (File size: 436kb) Quicktime Required.